Curse you, Krispy Kreme, you goddamn traitors. You are an American company, need I remind you, and yet you chose Australia to unveil your Simpsons-themed D’ohnuts. Seriously, what gives? 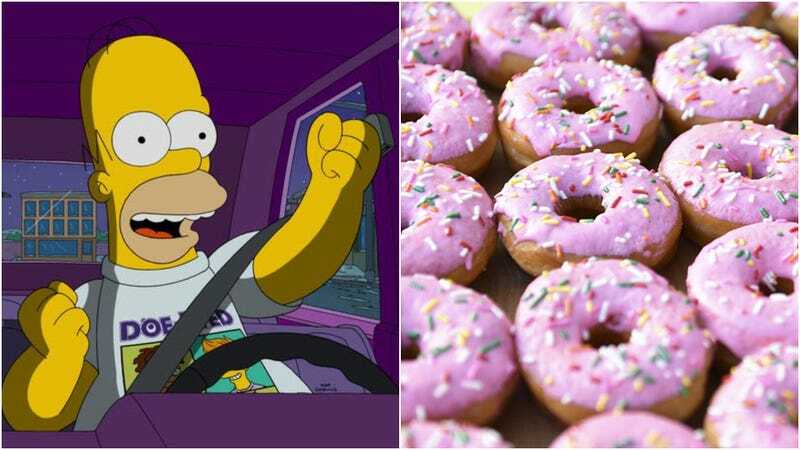 According to Krispy Kreme’s website, the limited-edition doughnut—which looks just like Homer’s favorite food—is available through April at Krispy Kreme and 7-Eleven stores. It’s a perfect visual recreation of the pink-box treats from the show, glazed here with white chocolate-strawberry truffle icing and rainbow sprinkles. Mmmm ... doughnut ... [drool]. The Krispy Kreme site also includes a tantalizingly unfair doughnut visualizer enabling me to see a cross-section of the doughnut, as though I was munching on it this very moment. Lest you’re tempted to smuggle some of these back from your upcoming trip Down Under, remember how poorly that cross-country transport turned out last time.